We love the Tampa Zoo. for over 4 years we’ve had an annual pass for the entire family. for under $75.00, it’s among the best deals in central Florida. the crazy thing about the zoo is we’ve been enjoying its many features including the aviary, one of our favorite spots. Any way you slice it, animals make great subject. The resulting shots’ quality is often in tune with the photographer’s patience. In this shot, I showed resourcefulness more so than patience, can’t you tell the difference? 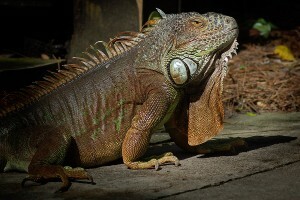 Posted in Photographs and tagged aviary, giant reptile, iguana, lowery park zoo, lowry park zoo, reptile, tampa zoo.